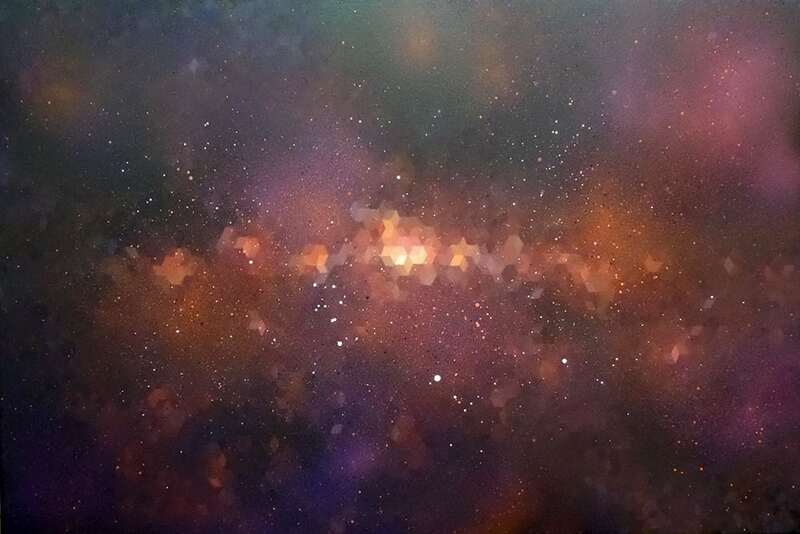 Nebula 1 – An abstract geometric painting of a nebula in deep outer space. A cosmic exploration on canvas – intricate acrylic geometric patterns, layered with clouds and particles of spray paint, creating a very abstract and mesmerizing painting which appears to change and go on forever..
Space painting & prints of a Nebula. Abstract geometric original painting in spray paint & acrylic.